All too often a WECS installation is purchased according to first cost rather than performance. Since "the cheapest windmiio. will do!" is never really an appropriate criterion, you snould understand what "the cheapest windmill" really is. Analyze, as an example, a simple wind electric system that is used only for heating water (Fig. 5-40). 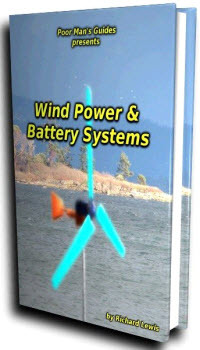 Compare the two hypothetical wind turbines that were described in Chapter 5 (Wir.J-mill Power and Energy Calculations). Both are rated at 1000 watts of power, and their power curves are shown in Figure 5-19. The wind duration curve is shown in Figure 5-20. Unit A is about 5 feet in diameter and has a rated wind speed of 32 mph. It produces 95 kilowatt-hours in the month illustrated in Figure 5-21. Unit B is about 12 feet in diameter, has a 20 mph rated wind speed, and yielcs 230 kWh in the same month. For simplicity, assume you already have the necessary wire and electric water heater. 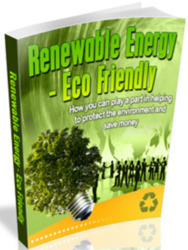 Therefore, just consider the wind turbine and tower costs, plus installation. The following table shows these hypothetical cases. Notice the difference in costs. Wind Turbine B requires a stronger tower and a somewhat higher installation cost.